Back in August we reported on a new drug that could reportedly cure hair loss. Cyclosporine A was accidentally discovered by scientists who discovered its hair growth potential. It is a side effect of a drug usually offered to patients undergoing transplants. Massachusetts General Hospital recently came across another drug that produced hair growth as a side effect. At Skalp we are always interested in investigating these claims further. In this blog we will go into more detail about what they discovered and if it holds the key to curing hair loss in the future. Dupilumab is the eczema drug that also grows hair . It is an FDA approved treatment used to help people with severe eczema. They published a report in JAMA Dermatology with goes into further detail about the case. They gave the drug to a 13-year-old patient who has a complete lack of scalp hair. Alopecia totalis is its official medical name. The patient also suffers from severe eczema. Yet, after taking the medication (known by its brand name Dupixent) Massachusetts General Hospital noticed significant amounts of hair growth began to appear. Since the age of 2 the young patient hadn’t seen any hair growth at all, so this result surprised doctors. She had tried other hair treatment solutions and none had made a difference up until this point. 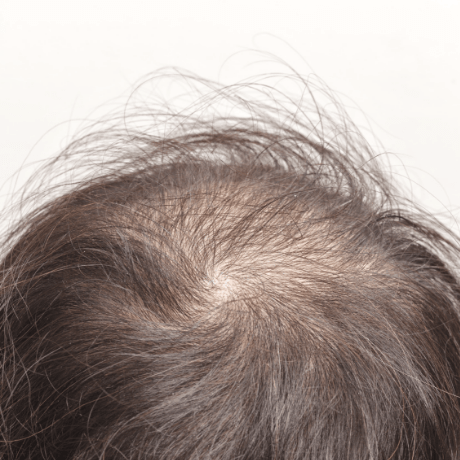 According to Maryanne Makredes Senna, head of Massachusetts General Hospital’s Massachusetts General Hospital, this is the first time a patient with alopecia taking dupilumab had seen such a reaction. Since she was only 7 months old the patient has also received treatment for eczema. It wasn’t until mid-2017 that she began to take Dupilumab. The drug had recently received FDA approval and her doctors begun giving her weekly injections. Six weeks later the eczema had started to significantly improve. But they didn’t expect to see hair growth as a side effect. During those 6 weeks fine, light hairs had also started to appear on her scalp. The treatment stopped for 2 months during which time the hair began to shed. When she re-started again in April of 2, the hair started to grow back again and has continued ever since. Doctors believe the explanation could be because the drug targets a particular immune system pathway that is overactive in eczema. At this stage they do not know if it will have the same effect on others with alopecia. They have submitted a proposal to begin clinical trials to find out more. As soon as we have more news we’ll provide updates for all our customers and readers. There is no certified cure for hair loss at the moment. However, scalp micropigmentation is the best solution available anywhere today. It doesn’t require evasive surgery and is virtually pain free. Compared to hair transplants it is far cheaper and gives you the look of a realistic shaven head. Scalp Micropigmentation treatment is completely safe and proven to work and will last on your scalp for years to come.